Author Stephanie Oakes' latest YA novel is a sweeping, emotional and sometimes humorous mystery. Parents sometimes set heavy burdens on their kids' shoulders. 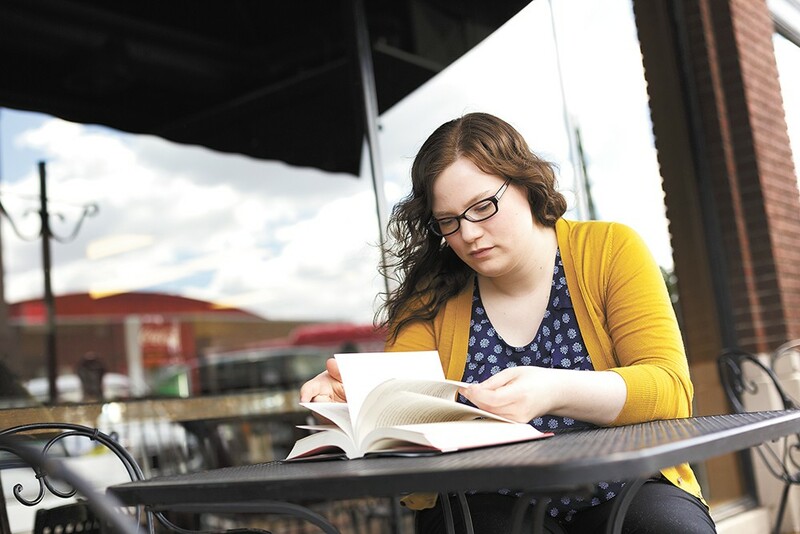 In her latest young adult genre novel — a sweeping, emotional and sometimes humorous mystery that spans three narrators, two timelines and multiple continents — Spokane author Stephanie Oakes explores this theme, among others, including friendship, forgiveness and courage. The Arsonist, Oakes' second novel, will be released this Saturday with a celebration at Auntie's Bookstore. Those who know Oakes personally, along with her fans of all ages, are likely familiar with the 29-year-old's award-winning 2015 debut The Sacred Lies of Minnow Bly, about a teen who escapes from a physically and mentally abusive religious cult. Just as that novel's protagonist struggles to cope with the personal trauma of her parents' decision to follow a dangerous leader into the Montana wilderness, The Arsonist artfully weaves together a mystery that simultaneously unites its main characters as they seek explanations of their parents' destructive choices. "All of the teen characters have these really interesting relationships with their parents, and that are dysfunctional in most cases, so I find that really interesting to explore," Oakes explains. "It's really good for YA too, because that is the most important relationship in teens' lives. I was really interested in developing the theme of 'Why do parents so often take their heavy stuff and put it on their kids?'" First, readers meet Molly Mavity, who doesn't believe that her mother killed herself three years earlier. Molly's dad is about to be executed for his role in a deadly arson. Cautiously, at first, Molly becomes friends with Pepper Al-Yusef, an awkward boy with a seizure dog, who's flunking out of high school. A Kuwaiti refugee, Pepper's mother died after giving birth to him in the middle of a fiery Gulf War battle. Pepper's dad has never accepted her death, and turns to strange coping mechanisms. In their hometown of Monterey Bay, California, Molly and Pepper's unlikely friendship grows deep roots as they set out together to unravel a mystery surrounding the diary of East German teen Ava Dreyman, believed to have been murdered in 1989 for her infamous acts of resistance against the socialist Cold War regime. Ava herself was thrust into the resistance after her mother's fierce beliefs and dangerous actions forced her family to try to flee East Berlin. Oakes began writing The Arsonist in 2010, well before Minnow Bly was published; she started drafting the second novel while waiting for a publisher to buy her first. While she waited, Oakes sought to challenge herself by writing a story set in both the past and present. "I think a lot of authors have a bucket list of things they want to try," Oakes reflects. "I like stories that have a modern and historical plot, and you don't know how they're connected, but gradually you learn. I see that a lot with World War II stories, but then I thought that the Cold War was really interesting, and when you write a book, you have to spend so much time with it." Though Oakes hasn't been to Berlin — and would have been an infant when the Berlin Wall fell — she heavily researched the history of the Cold War, the German Democratic Republic and the look and feel of the city during that dark period. An unlikely but valuable resource, as Oakes crafted believable descriptions of the Berlin that Ava would have known, became watching other people's vacation videos uploaded to YouTube, offering firsthand glimpses of the city seen on foot. Oakes also pointed herself toward the goal of writing a story that wove together multiple characters' distinct viewpoints, which would slowly reveal that each person was more closely connected to the others. These individual stories also serve as pieces of a much larger narrative puzzle. "Writing a mystery is really challenging because you know all the secrets as an author," Oakes admits. "It's really hard to tell if you're doing a good enough job of having things be revealed at the right times, when to plant clues, or if you're being totally obvious about it." 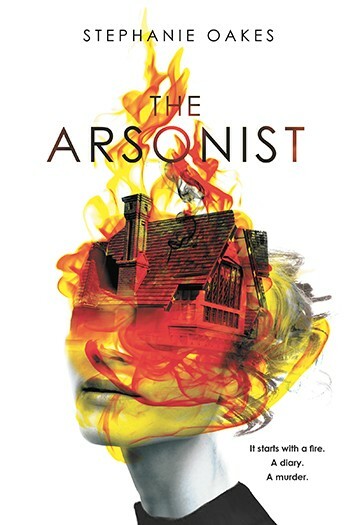 As readers dive into the worlds of Pepper, Molly and Ava, they're likely to find themselves immediately immersed in a page-turning plot that may also see them quickly spinning theories about how each of The Arsonist's believable and troubled narrators are linked. With another book on shelves with her name on the spine, what's next on Oakes' ambitious writing to-do list? She admits that this summer off from teaching at Spokane Public Schools' Libby Center for gifted students already has been productive. She took a vacation to New Mexico with her mother, and emphasizes how inspirational the trip (and travel in general) was for her creative process. She's working on a new book proposal that encompasses two more items on her writing list: a story in the fantasy/magical realism genre, and a setting directly inspired by the Palouse.